Developing a toy train powered by blowing air into a closed tunnel. The train “floats” over the rail due to magnets spread all along its track. 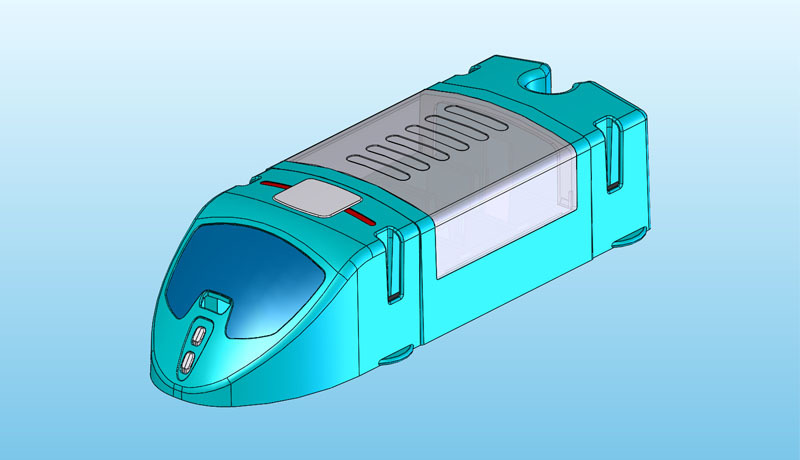 In the video below one can see a prototype powered by an ordinary hair-dryer connected to the tunnel, where any change in its angle or power immediately effects the train motion.